Aranmula Kannadi Ordering – Details you should know about. Ordering Aranmula Kannadi is now easy, either you can place an order online via e-commerce website, call or e-mail to book your kannadi. or the people who lives nearby can visit aranmula and buy. Most of the customers prefer it to buy online. by doing so, you have to make sure that the particular model which you are ordering is readily available in stock. A better way is to send an e-mail or call and confirm the availability. 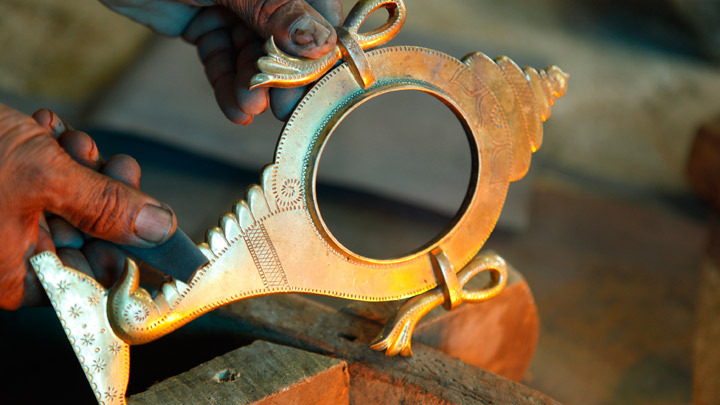 The normal procedure is, when a customer ordering a mirror, the artisans are making a mirror for them. means each and every mirror is custom made and making on demand of the customer. 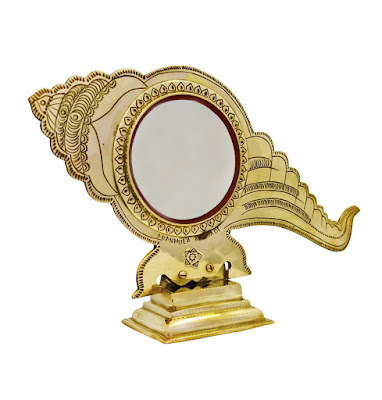 But that is a time consuming process, thus we usually make the most moving models ( like valkannadi, and peacock mirror, Shankh mirror etc) and keep in stock. Also, time to deliver the mirror is very important. any fastest courier may take at least 2 to 3 business days to deliver the mirror. so the people who wanted to get the aranmula kannadi in an overnight may not be able to buy it. Send your complete information like postal address with pincode and a local mobile number, so that the courier company can reach you in case if they having any difficulty to locate you. patience is very important. once we dispatch the mirror and till it reaches you, things are not in hand of yours or us. most of our shipping partners ( India post – the most reliable shipping method, which they offer speed post with tracking, delivery confirmation via SMS, and most importantly they will deliver to any location where a PIN CODE is available – but courier companies won’t do this). So please track the consignment by yourself till delivery rather than calling us each and every hour. Payment needs to be done in advance, once you made the complete payment then only we can start making your mirror or dispatching it. don’t negotiate much – as you now the aranmula kannadi is 100% handmade and not made in machines. so each mirror comes with its own effort and cost. shameless negotiations are not healthy and we won’t entertain such customers, and we won’t give any priority for them either in order taking or processing. Same day shipping may not be possible – once you transfer the money we may not be able to ship on the same day because we have a shipping schedule every day 11.30 PM. so if thats over we can ship the mirror on the next day.